A long way to BK? No problem! 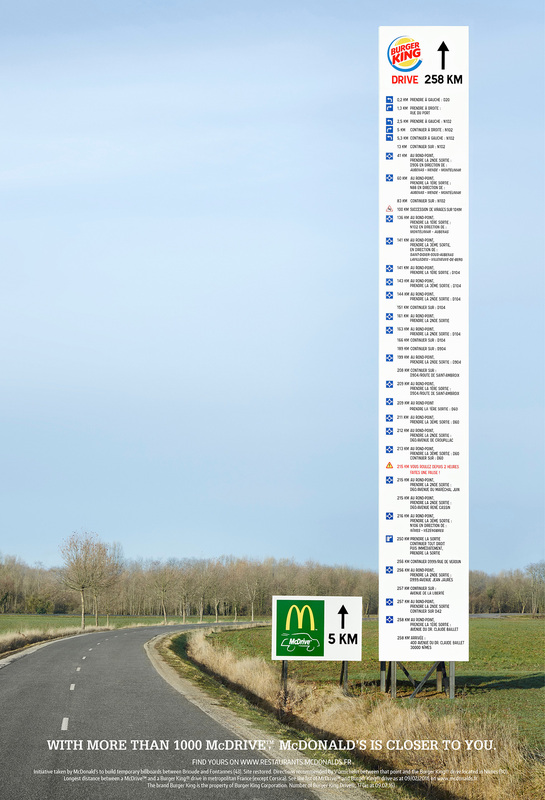 Last week, we wrote about that obnoxious and ludicrous (and OK, pretty entertaining) McDonald's billboard in France that displayed absurdly lengthy driving directions to the nearest Burger King drive-thru. The point, of course, was that McDonald's (just 5 kilometers away from that particular location) is always there when you need it, while BK (258 km away) just isn't. But given Burger King France's own irreverent marketing through ad agency Buzzman, we fully expected some kind of response to the McDonald's stunt. 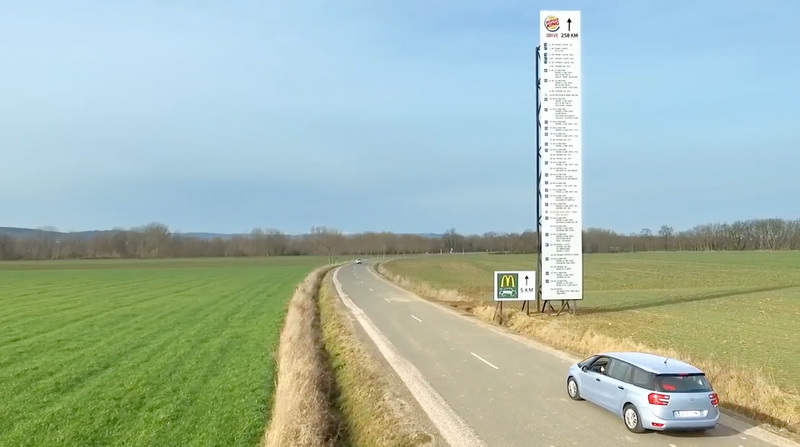 And here it is—a new video that shows the McDonald's billboard, and how one couple driving past it apparently reacted. Yes, BK has smartly and comically turned the issue from one of simple availability into one of exclusivity. While freely acknowledging that it has fewer locations, BK is flattering its customers by suggesting they have better taste and are willing to go farther, quite literally, for BK's food. It seems the burger wars are fully on in France. Your move, McDonald's.